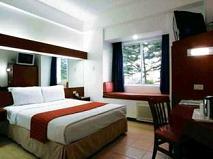 Ideally positioned the Microtel Inn & Suites Baguio is a popular holiday destination for anyone looking for sun, shopping and scenery. Providing elegantly-designed guestrooms, the modern hotel is conveniently located in the center of the city. 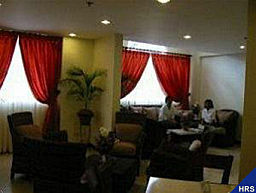 The three-star hotel is also close to many attractions, such as the Philippine Military Academy, Lourdes Grotto, Baguio Cathedral, Session Road and SM Baguio. Guests are also near Wright Park, which is a popular place to go horseback riding. For coffee lovers, the hotel provides guests with an endless flow of coffee. 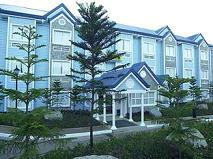 It is an ideal destination for travelers because of its attractive rooms and its excellent location. With its central location, Microtel inn Hotel is within easy reach of most tourist attractions and business addresses in Baguio. 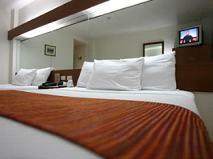 The Microtel inn Hotel boasts a convenient location with modern amenities in every guestroom and superb service. 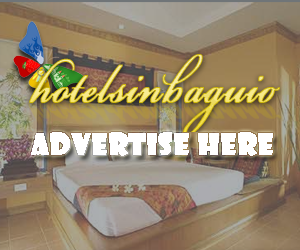 This hotel is characterized by a combination of modern comfort and traditional element of Baguio, making it a distinct accommodation. 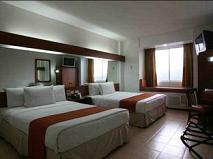 Microtel inn Hotel Baguio is easy to book – just enter your travel dates on our secure online booking form. It is located on Engineer’s Hill; the Microtel Inn Hotel is right next to the Victory Liner Bus Depot. It is positioned in such a way that you find easy access to the nearby attractions along with convenient transportation facility. At Microtel Inn and Suites Baguio, you can begin your day with our complimentary breakfast and fresh cup of coffee and end your day relaxing in our comfortable rooms. Sleep well in our Chiropractic approved healthy-for-the-back beds and dream well in our contemporary bedding. Enjoy the comfort of a plush-top mattress pad and fitted bed skirt, high quality 200-thread count white linens with triple sheeting, down-like blanket, decorative top sheet and bed scarf, and high quality pillows. Choose from among our single, double or suite rooms that guarantee a good night’s sleep and consistency in cleanliness, comfort, security and value. There is no on-site restaurant available for this hotel. The resort boasts rejuvenating scenarios, which includes massaging service to rejuvenate your soul and body and providing a peace of mind. Well designed conference rooms are also available to suit all your business needs.